I set off early and reached Green Quarter just after 9 a.m. It took a little while to park as there is very little parking in Kentmere and Green Quarter but I managed to tuck it in on a very quiet road. The forecast had said “slight chance of rain” which was why I’d picked today to whizz up some hills. 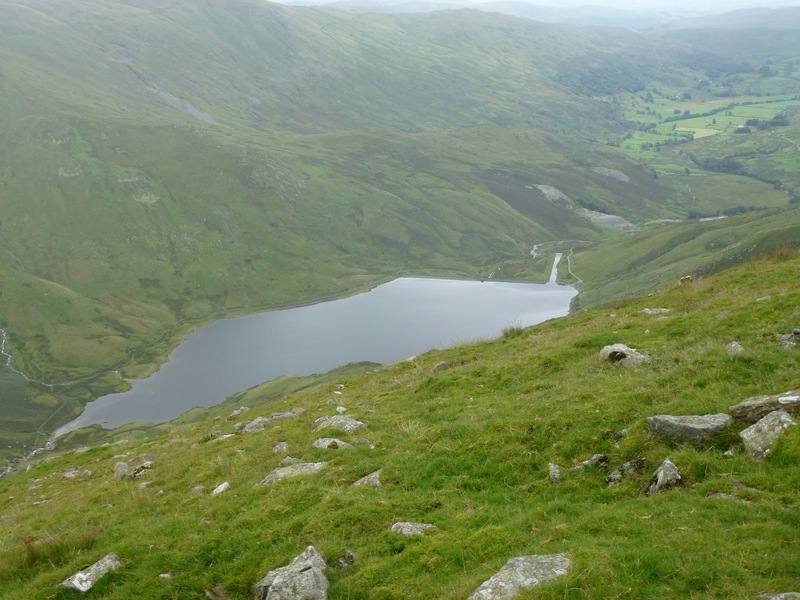 I walked down to Kentmere church and to the end of the road and then got onto Garburn Pass. 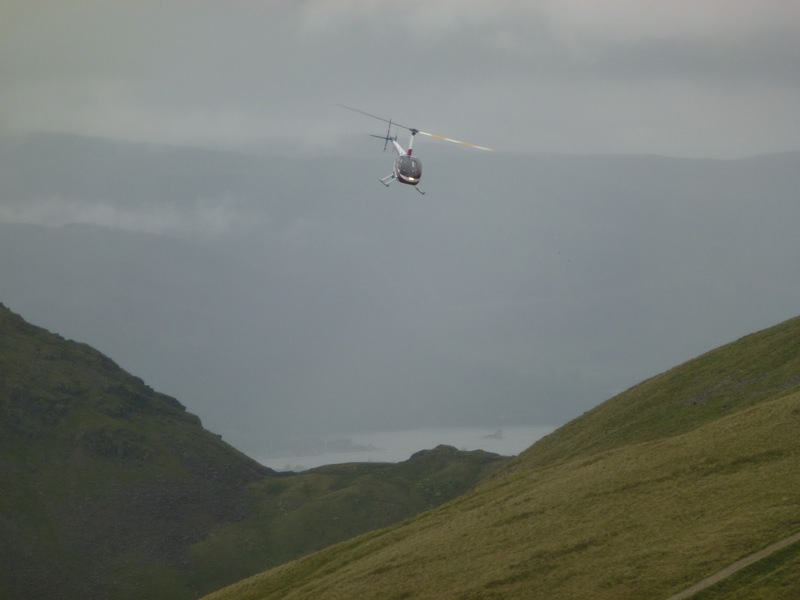 This is a mountain road that goes across to Troutbeck. It rises gently for a couple of kilometres and then I headed off north on a good path across some boggy terrain. It was quite warm and a bit muggy. This path also rose gently although when I came back down it seemed much steeper so I can only conclude that I wasn’t really feeling the climb. 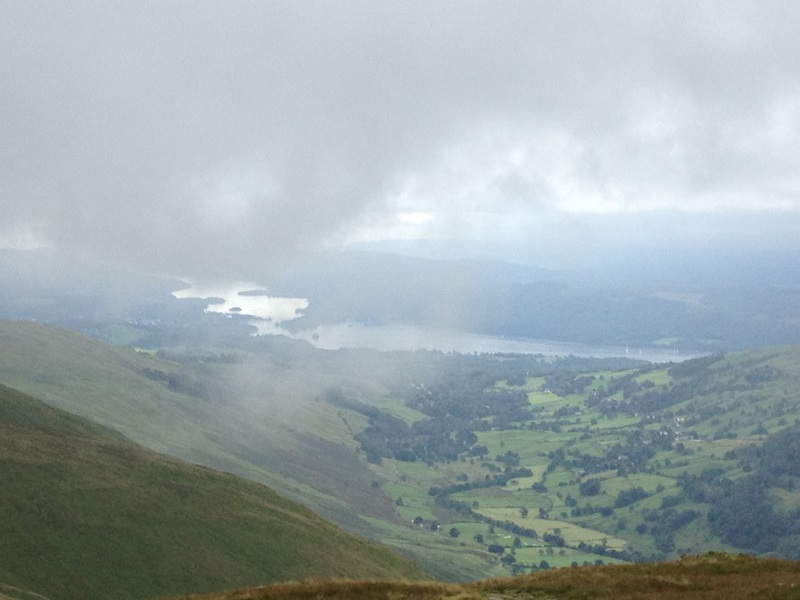 I got all the way up to Yoke and had a short break there. 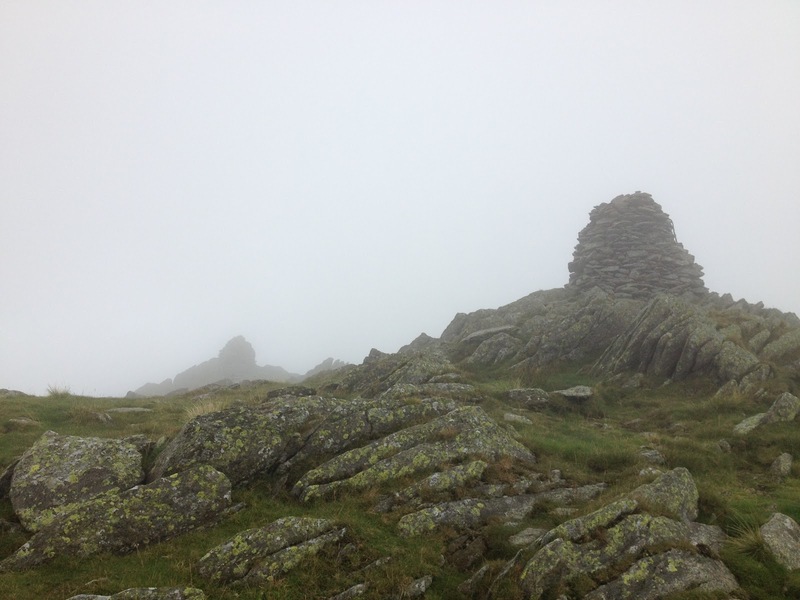 The weather started to close in a bit and there was a lot of low cloud around. Then onto Ill Bell through the gloom. 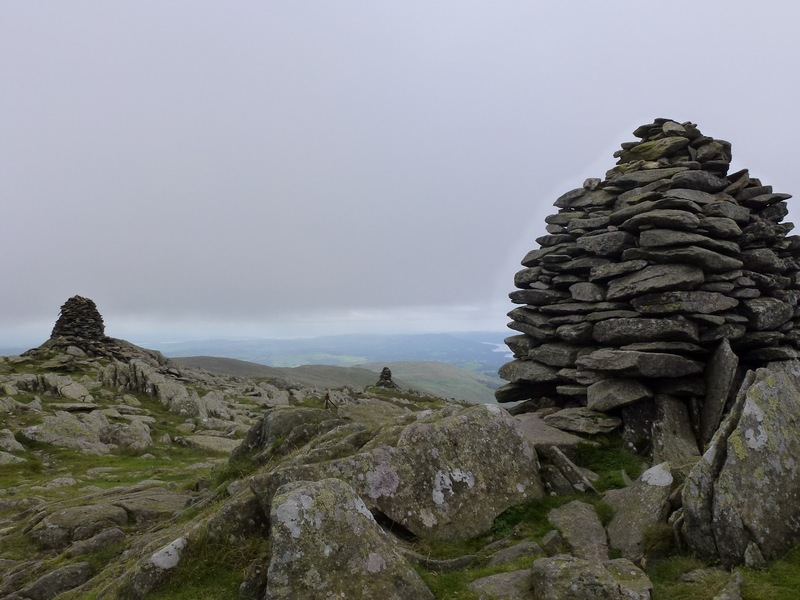 Ill Bell (no sickness, no bells) has 3 cairns which were reminiscent of the Nine Standards in construction. From Ill Bell you have to drop down quite a bit and then go up again to reach Froswick, Wainwright didn’t seem to think you would go there unless you were going somewhere else but I didn’t really want to keep going as had already been to the hills you can reach easily from there, also my route was not a circuit. 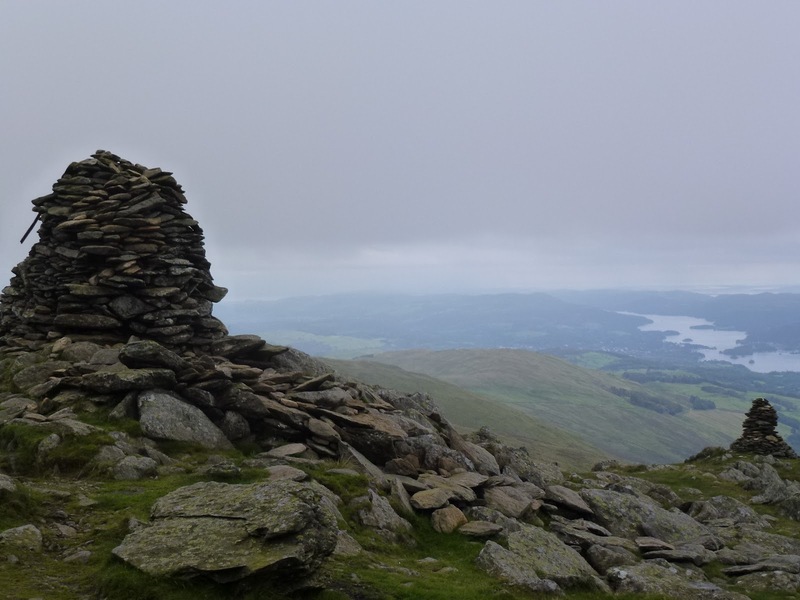 So I had my lunch and looked across to Thornthwaite Beacon, High Street, Mardale Ill Bell and Harter Fell. I turned back and retraced my steps. There was a shower on Ill Bell and a much bigger one as I got back to the Garburn Pass, my head felt like it was being massaged under the hood of my coat! 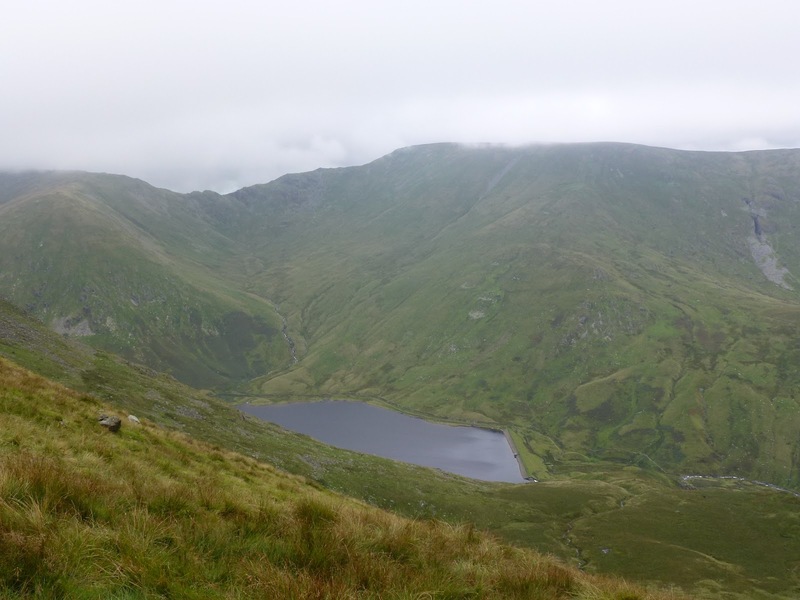 The Garburn Pass had got a lot wetter and what with my thin summer socks, gave my feet a terrible pummeling. I got back to Green Quarter at last, actually much more quickly than I’d thought, and had a delicious slice of my own home made shortbread! Feels like my exercise regime and losing a few pounds has been worth the effort. 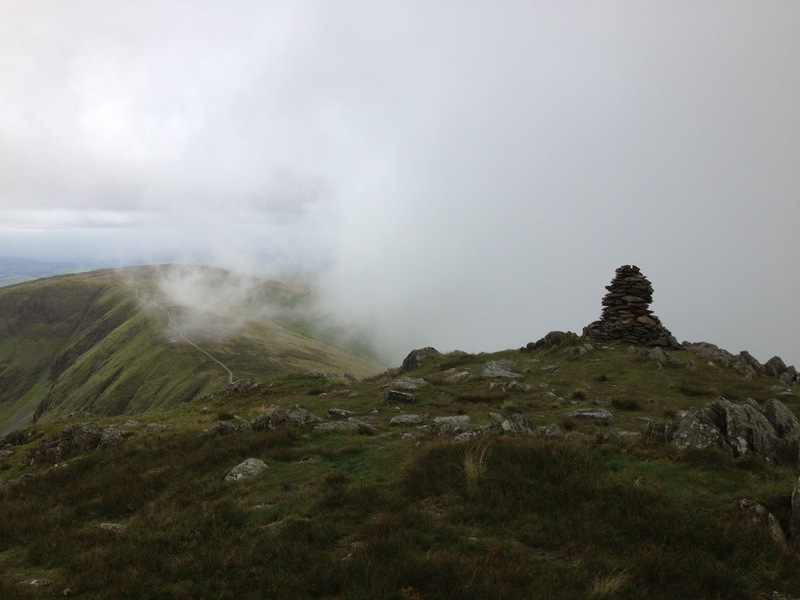 Home before 6 p.m. And 3 more Wainwrights bagged! Please visit Map and Compass and learn how to interpret a map with me and my navigation partner, Cath.